For the most part, combining home & auto insurance with Bogle saves you money. Who doesn’t want to save money? The reality is that bundling insurance products can be a great idea. However, having knowledge of your policy matters. Not all products are created equal and understanding the differences between products is important. 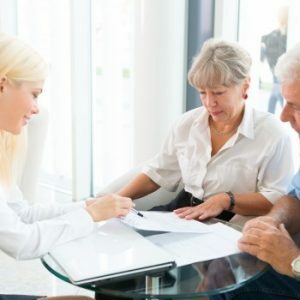 Advice from an experienced Bergen County insurance agent can help ensure that you save money on your auto and homeowners Policy. Bundling Insurance Policies Can Cost More Than It Saves? Bundling auto and home insurance policies offers an opportunity to save money, except for when it doesn’t. Your NJ insurance agent understands this caveat and will recommend bundling when it makes sense for you, your family, or your business. There are times when bundling can become more expensive and separate policies with separate companies becomes the better choice. However, these are all factors that an insurance agent can piece together to save you the most money on your policies! When it comes to insurance for home and auto, coverage matters. Oftentimes price and coverage are not necessarily complimentary. In other words, a low price might mean less coverage or inadequate coverage. The cost savings for bundling your NJ home and auto insurance policies should not reduce the quality of your coverage. Working with an insurance agent can make sure that your newly bundled policies not only save you money but also provides you with the right amount of coverage for your needs. Contact our team at Bogle Agency Insurance today to learn more about New Jersey insurance options for your home or business. Our experienced agents will do the legwork to present you with options that make sense financially and practically. Let our knowledge and experience serve as your guide to combing home and auto insurance in Bergen County NJ.